Owners of Apple's newly released MacBook Air have been experiencing persistent kernel panics on their systems, causing the laptop to freeze and crash. The issue generated a lot of discussion on Apple's support communities among frustrated users and earlier this week Gizmodo reported that the general consensus pointed towards Google’s Chrome browser as the culprit. Now a spokesperson for Google has finally come forward with an official statement acknowledging that it had found a "leak of graphics resources in the Chrome browser" and this had been causing the new MacBook Airs to crash. The company said it is working to fix the root of the leak, but in the meantime it has issued an auto-update release that will temporarily disable GPU acceleration features in Chrome. We have identified a leak of graphics resources in the Chrome browser related to the drawing of plugins on Mac OS X. Work is proceeding to find and fix the root cause of the leak. The resource leak is causing a kernel panic on Mac hardware containing the Intel HD 4000 graphics chip (e.g. 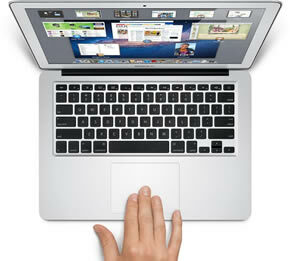 the new Macbook Airs). Radar bug number 11762608 has been filed with Apple regarding the kernel panics, since it should not be possible for an application to trigger such behavior. While the root cause of the leak is being fixed, we are temporarily disabling some of Chrome's GPU acceleration features on the affected hardware via an auto-updated release that went out this afternoon (Thursday June 28). We anticipate further fixes in the coming days which will re-enable many or all of these features on this hardware. Google’s response suggests that while Chrome may be inducing the crash, ultimately is an issue with Apple's drivers that allows for the kernel panic to be triggered. Apple hasn’t officially commented on the matter as far as we know, but according to one poster on Apple's support forums, a store employee told him that the company was aware of the problem and plans to release a patch soon.